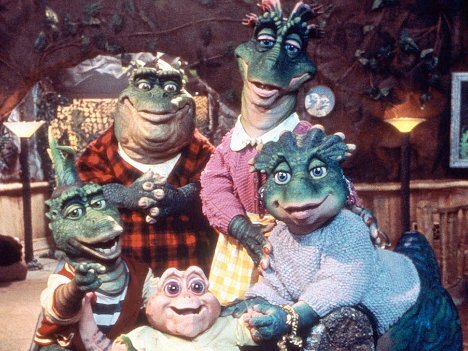 Are Other Planets Home to Super-Intelligent Dinosaurs? It has always been one of those frustrating little quirks of science (and sci-fi) that many people assume life elsewhere in the universe will be humanoid in form. While we don’t know for sure that there are other inhabited planets out there, it seems almost impossible to think that we’re alone. But according to new research published in the Journal of the American Chemical Society, life on other planets could actually take the shape of advanced dinosaurs with the intelligence and cunning of humans. And since the asteroid that (probably) wiped out dinosaurs on Earth wouldn’t have occurred in the same way on another planet, these monster dinos would have been able to evolve unhindered for unknown millions of years. A second, unrelated, study from Kyoto Sangyo University in Japan suggests that Earth could have seeded the universe with life. After all, a long-standing theory says that life on Earth was possibly planted here by intergalactic rocks which carried the first little seeds of life – and there is no reason the theory can’t work the other way. This old theory was updated by the researchers with new data suggesting significant amounts of life-bearing material could have made its way (following asteroid collisions) to solar system bodies that are likely able to support life. 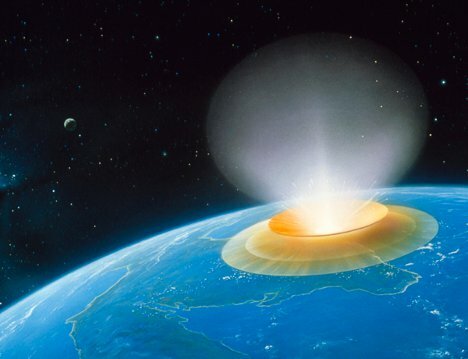 The JACS study states that the same cosmic event that brought life to Earth could have been replicated elsewhere in the universe, but the conditions could have been different enough to cause life to evolve differently…maybe as intelligent dinosaurs. These studies are both a little on the wacky side, but it’s refreshing to see mainstream science looking at alternatives to the commonly-accepted space-type theories. See more in Space & Time or under Science. April, 2012.